The reigning IBMA Songwriter of the Year, Donna Ulisse is set to release the first project through her new label Mountain Home Music. Breakin’ Easy is set for release on September 22nd. The album was produced by Bluegrass Music Hall of Fame member, Doyle Lawson, also with Mountain Home Music. Breakin’ Easy is replete with the skillful songwriting that has garnered so many honours for Ulisse, including the 2016 IBMA Songwriter of the Year Award. Every song is delivered with perfect emotion by her distinctive voice. The title comes from a song lyric, but is also an intentional nod to this new phase of Donna’s career. Breakin’ Easy represents a gentle shift in a new direction. With a new label and team, and with the amazing in-studio collaboration with Doyle, I feel free to take a fresh look at my music and career. Working in the studio with Doyle is a dream, plain and simple. With his command of absolute perfection in instrumentation and arranging, I felt refreshingly free. I can give my attention to lyrics in a meaningful new way – Donna Ulisse. Ulisse brings a blend of traditional and contemporary bluegrass, gospel and country flavours to everything she records and performs. With a voice that is rich, warm and commanding, she has a well-deserved reputation for bringing a song home with both style and musical integrity. On this new album, Donna indeed makes a shift, almost imperceptible, but with the clear new vision of an artist free to focus on her artistry. Producing Donna’s CD was a pure joy. She came to the studio well prepared and with a willingness to take direction. The beautiful thing is that she needs very little directing. Donna is a dynamic vocalist with what I call ‘that sparkle’ one listens for, and it matches her personality perfectly – Doyle Lawson. The many facets of Donna’s dynamic voice are showcased brilliantly on Breakin’ Easy, along with the rock solid writing that is a hallmark of Ulisse’s career. Opening with the hopeful Without Trouble Please and closing with the up-tempo We’ve Got The Love Thing Figured Out, the new CD weaves loneliness into optimism, and heartbreak into exuberance. A Little Past Lonely has both the pain of lost love and an optimistic outlook, while We Are Strong celebrates an unwavering love. Her vocals shine on a cover of Here Comes My Baby Back Again, which is sure to become a fan favourite. Other tunes carry the listener through self-reflection, memories, happiness and exhilaration; all wrapped up in musical precision. At the Crossroads studio, I have always worked with ace engineer, Van Atkins. Our goal is to have a relaxed, no-pressure atmosphere. My theory on producing is to let the artist be themselves with a little guidance, when needed – Doyle Lawson. The resulting Breakin’ Easy clearly reflects the experience and ease shared by seasoned professionals in the studio. Whether singing her own songs or those written by others, award-winning Donna Ulisse continues to make her mark as a uniquely gifted artist. She has incorporated a wide range of influences into a style and sound that is distinctively Donna. With the release of Breakin’ Easy, Donna is poised for the next facet of her already shining career as a recording artist, songwriter and performer. 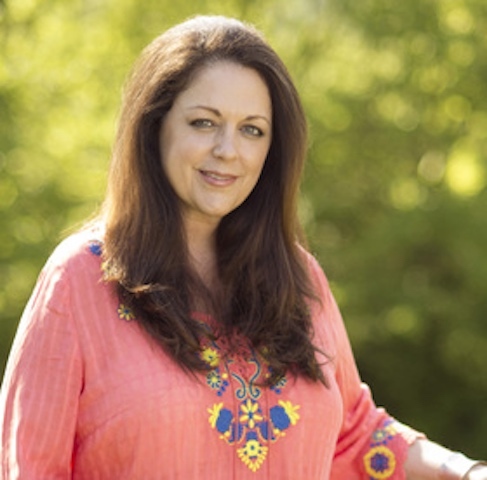 Donna Ulisse’s first album on the Mountain Home Music label will be produced by Doyle Lawson. Donna Ulisse is one of the most highly regarded songwriters in bluegrass. She has been nominated for the prestigious International Bluegrass Music Association (IBMA) Songwriter of the Year award every year since its inception, and won that top honour in 2016. Her distinctive voice is at once strong and dynamic, and the next minute soft and angelic, lending the perfect emotion to every song in her impressive library of recorded projects, each a blend of traditional and contemporary bluegrass, gospel and country flavours. The reigning IBMA Songwriter of the Year now joins forces with the equally formidable Mountain Home Music Company. Having signed with the label as a recording artist, Donna concurrently brings her prolific songwriting to the relationship through a deal with Windsor Forest Publishing. Both Mountain Home and Windsor Forest are part of the Crossroads Entertainment & Marketing company. I’ve been so blessed with a consistent and multi-faceted career, and a small, but mighty team to keep all of the balls in the air. Still, I just felt the time had come to dig deeper and reach farther, so I called on a trusted source for advice – Donna Ulisse. That counsel came from Bluegrass Hall of Famer, Doyle Lawson, who listened to Donna’s broadening career plans, and ultimately made the introduction to Mountain Home, the label that Doyle has called home since 2003. Lawson will produce Donna’s first album on her new label. I could not be more excited. Everyone at Mountain Home has been so welcoming, and they provide the expertise and the resources to give me the reach I’m hoping for. This new relationship really frees me to focus on the core of my passion as an artist: songwriting, recording and performing. 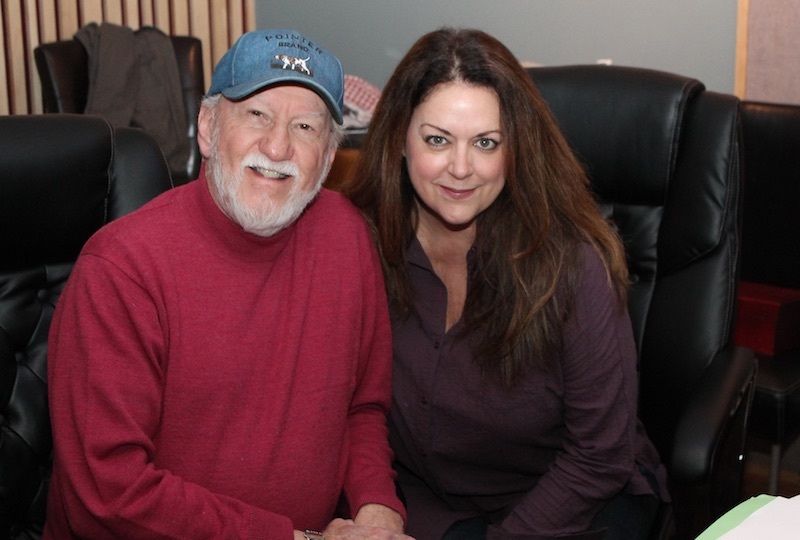 And of course, working with one of my own musical heroes, Doyle Lawson, is a dream come true – Donna Ulisse. Throughout the various phases of her career, Donna Ulisse has remained true to who she is, and that musical integrity comes across in every note she sings and every lyric she writes. Born into a musical family in Hampton, Virginia, she grew up surrounded by traditional sounds, and from an early age was drawn to performing. She later married Rick Stanley, a cousin of bluegrass legends Ralph and Carter Stanley, and was further influenced by his family’s Clinch Mountain roots. Donna’s varied career has seen her succeed as a highly in-demand demo singer and background vocalist, working with legends such as Jerry Reed. A production deal with Dale Morris, manager of the super-group Alabama, led to her well-received traditional country album, Trouble At The Door, and two Billboard-charting singles. As a songwriter, she has amassed a brilliant catalog of songs that have been recorded by the Del McCoury Band, Claire Lynch and many others. She has an impressive catalog of her own recordings as well. With her band, The Poor Mountain Boys, Ulisse looks forward to hitting the road with both fan favorites and new music to share. With a powerful new team on her side, Donna is ready for the next facet of her already shining career as a recording artist, songwriter and performer. A premiere Bluegrass label with global distribution, Mountain Home Music Company represents elite and award-winning artists including Doyle Lawson & Quicksilver, The Boxcars, Lonesome River Band, Balsam Range, The Grascals, The Snyder Family Band, Darin & Brooke Aldridge, Danny Roberts, Crowe Lawson Williams, Newtown and Flatt Lonesome. 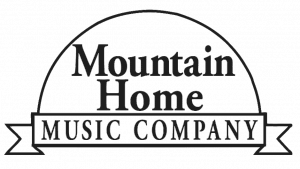 Mountain Home is a division of Crossroads Entertainment & Marketing, Inc., a company with decades of music marketing, licensing, distribution and promotional experience, bringing artists to the world marketplace. With an award-winning, state-of-the-art recording studio, Crossroads has been in operation since 1993 and provides artists with a world-class recording experience. Their marketing division has promoted award-winning and Grammy®-nominated albums, and the radio promotion department has achieved multiple #1 singles. Dedicated to the sustainable career of artists, the Crossroads team is dedicated to cooperative efforts with artists, fans, the media, and the industry at large. Only rarely does a person with a heart for music and songwriting get the opportunity to join with kindred spirits and learn from someone who is blazing the path ahead of them, someone with both the artistic talent and technical skills to help lift the aspiring writer to greater heights, provide them with tools to perfect their craft and give them the confidence to share their work with others. 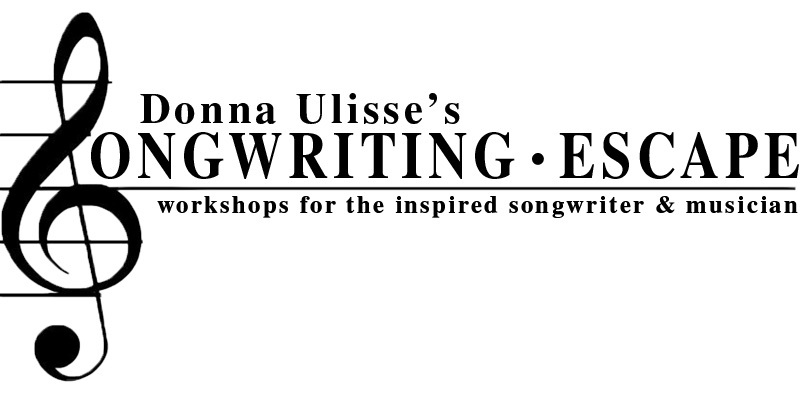 Grammy- and IBMA-nominated songwriter and recording artist Donna Ulisse is making that opportunity available to those who would like to learn. On three different occasions in 2016, she will hold Donna Ulisse’s Songwriting Escape events, and the time to sign up is NOW. 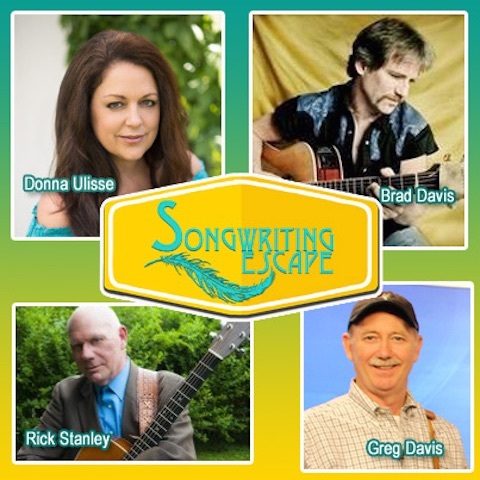 For more information about how to learn the art of songwriting from one of the most prolific and talented writers in acoustic music, visit Song Writing Escape. If you have ever dreamed of sitting in a room filled with souls excited about music and songwriting, sharing ideas that might drive you down different paths where you will improve your craft, and develop new relationships with people who hold the same passion for something as personal as songwriting, you need to join the Songwriting Escape Songwriting and Instrumental Workshops. 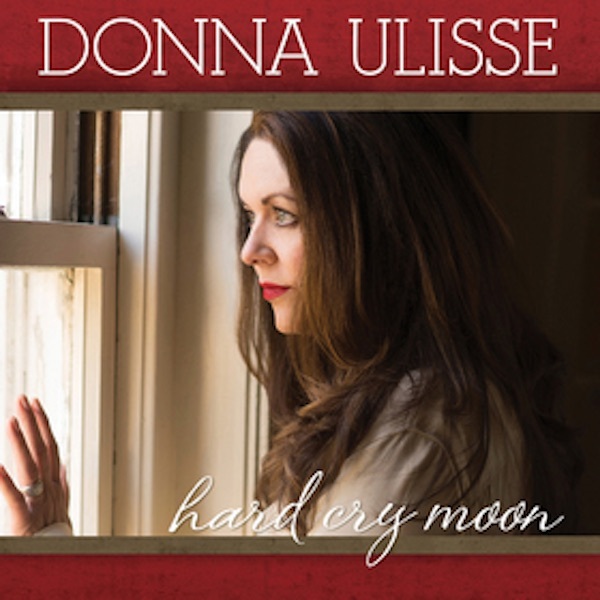 Bluegrass singer-songwriter Donna Ulisse was elated to learn that her new album Hard Cry Moon, produced by guitarist Bryan Sutton, is now number 3 in the Euro Americana chart for the month of October. The album also took an impressive jump from number 50 to number 1 in just two weeks in the Roots Music Report chart. The album was just released on September 25, 2015. Ulisse has had strong support from European DJs since the release of her traditional country album Trouble at the Door on Atlantic Records in 1991 with several of her bluegrass albums charting in the Euro Americana chart over the past several years. Hard Cry Moon is her ninth album on the Hadley Music Group label. For this 4 time IBMA Songwriter of the Year nominee, it also marks a return to focusing on her own original material, having written or co-written all of the songs with the exception of the country classic “Whispering Pines“, written by Howard Hausey and made famous by the late Johnny Horton. From the initital response by radio stations, it certainly appears that they are welcoming her return to her original material and it is no wonder as Ulisse has also become a songwriter showing up on many other artist’s albums with recent cuts by The Larry Stephenson Band, Doyle Lawson & Quicksilver, Del McCoury Band and Chris Jones & The Night Drivers. The album is available at Amazon.com, iTunes, CDBaby, County Sales and many other online sites. 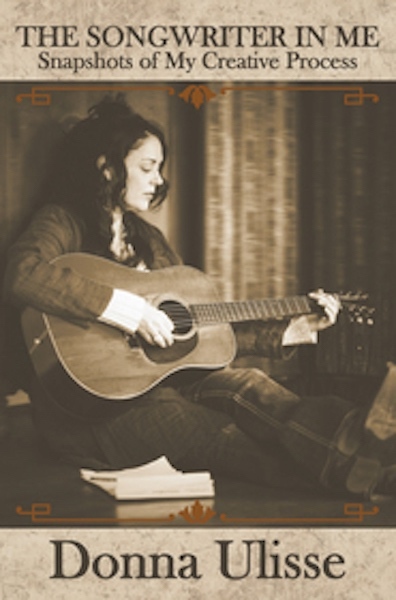 The Songwriter In Me: Snapshots of My Creative Process, written by singer songwriter and three time nominee for the International Bluegrass Music Association’s Songwriter of The Year award, Donna Ulisse, is now available as an e-book. As more readers move to reading books on various electronic devices, Hadley Music Group wanted to ensure that Ulisse’s book was available in a digital format. Readers can now find it in the Amazon Kindle store, Barnes and Noble Nook store and as an iBook in iTunes. The Songwriter In Me unfolds like a visit with an old friend — down-home, easygoing, conversational — as Ulisse invites you in to “this beautiful place where I make music these days.” Peppered with personal anecdotes and generous insights, this handy book stands as a tribute to the power of the imagination. You don’t have to be a songwriter to reap its benefits. Ulisse’s suggestions can help you whether you are writing a song, a poem, or a short story — or for that matter, a speech, a sermon or marketing copy. As the title of one early chapter says, “Creativity Keeps You Young,” and Ulisse stands as living proof, showing no signs of slowing down her prolific output of new songs and recordings, touring with her band The Poor Mountain Boys, and now teaching in her traveling songwriting workshops she is taking around the country called Songwriting Escape. Ulisse also explains the mechanics of songwriting, such as rhyme, “syllable sense” and meter, and how she approaches the different parts of a song; discusses the joys (and necessity) of rewriting; and describes her process of “song scrapping,” or finding ideas for songs. She provides helpful tips for collaboration and shares some of her favorite tools of the trade, as well as other outlets to help you in your songwriting journey. Along the way, Ulisse offers numerous examples from her own rich catalog of songs and provides exercises that will help you hone your creative skills. 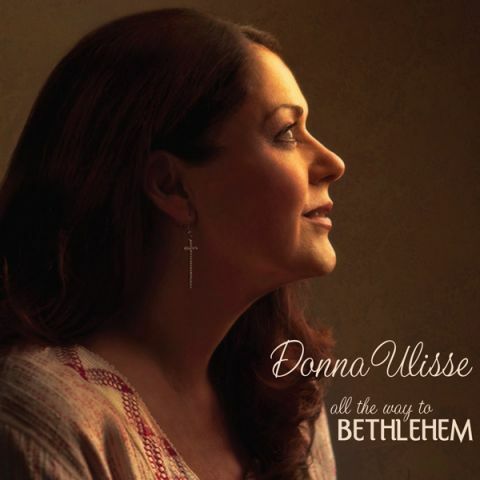 With movie-like drama and clarity, Donna Ulisse re-tells the story of Christ’s conception and birth in her powerful new album, All The Way To Bethlehem. But this is not a conventional Christmas CD. Rather, it occupies the same artistic territory as such Bible-based narratives as Jesus Christ Superstar and Joseph And The Amazing Technicolor Dreamcoat. All The Way To Bethlehem will be released October 23. 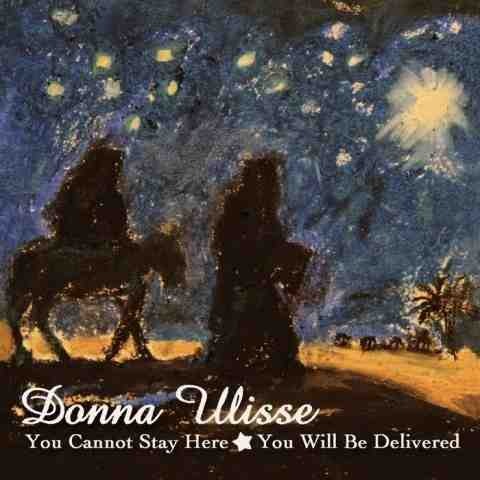 Donna Ulisse has announced the release of her Christmas album which her record label has encouraged her to produce for some time. Donna did not feel she was coming up with a group of songs that made a cohesive album. When she wrote You Cannot Stay Here and You Will Be Delivered in a span of one week, she felt that she had found the direction for an album with the focus being on the songs being written from the point of many characters in the Christmas story. In the song You Cannot Stay Here it is the innkeeper words we hear, while in You Will Be Delivered, it is the angel who visits Mary. These two songs will be part of the full album that will be recorded and released in time for Christmas of 2012. Donna wrote You Cannot Stay Here alone and You Will Be Delivered by long time co-writer Marc Rossi. The songs are now available on Donna’s website Bandbox by clicking Google here They will also be available on several other internet sites including iTunes by Thanksgiving. Radio presenters may like to download the songs for airplay may get the mp3 files on Airplay Direct.